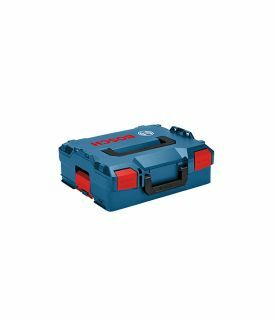 The Bosch L-Boxx stackable tool-storage system features cases that interlock on the top and bottom with other L-Boxx products to keep from slipping. Each case is designed so users can gain easy access even when the boxes are stacked. There are handles on the sides, front and top of this case, so the user can carry in whatever manner is most comfortable. The front handle is larger for easier gripping. The clips on the case are easy to lock down to keep the items inside from falling out. They also are simple to open quickly. 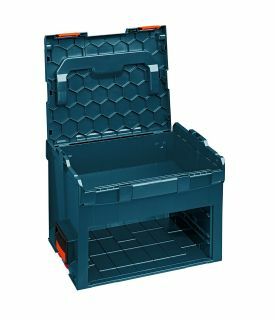 The cases can lock with optional padlocks to avoid stolen tools. The Bosch Click & Go® system allows user to efficiently organize, store and transport their tools and accessories. 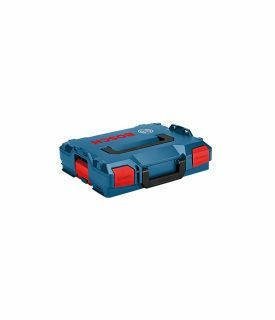 The Bosch L-BOXX-2 Storage Case was designed to store many Bosch 18V cordless drills, drivers, compact system tools and accessories – as well as such corded tools as jig saws, routers, grinders and drills. 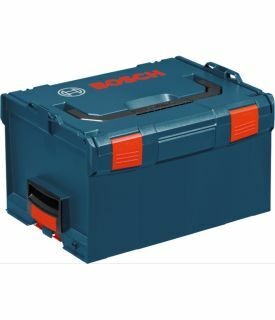 Bosch L-Boxx-1 Custom Foam Case - I.D. 15.88" x 12.5" x 2.25"
Bosch L-Boxx-2 Custom Foam Case - I.D. 16" x 12.75" x 2.25"
Bosch L-Boxx-3 Custom Foam Case - I.D. 15.88" x 13" x 8"
Bosch L-Boxx-3D-Top Insert Custom Foam Case - I.D. 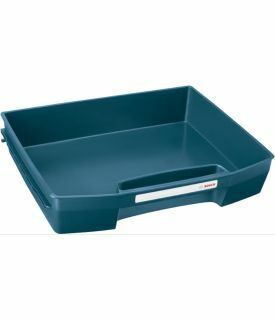 15.75" x 12.5" x 2.25"
Bosch L-Boxx-3D-Drawer Custom Foam Case - I.D. 13.75" x 11.75" x 2.25"